Alumni Personal & Career Development Center | Your Network Should Be "Weak"
Sounds crazy, right? If our networks are supposed to connect us, why would weakness be a helpful quality? We build our networks by creating and maintaining relationships with other people. If you think of these relationships in two categories, your network is formed of both strong and weak ties. Here’s the secret to a vibrant network: you need them both. Dr. Mark Granovetter first discovered the strength of weak ties as he studied the science of network building. Strong ties are people you know well; they are your family and close friends. Weak ties are less defined; they are your acquaintances. Both strong and weak ties are important for your network. We have access to different groups of people, and by extension circles of influence, because of our relationships. Let’s apply this science to your own network. Using this worksheet – or a blank piece of paper – I invite you to walk through an exercise to map out your network. The objective is to discover any gaps within your network and to find people who could be potential mentors. Let’s begin! In the center of the paper, draw a circle; and in it, write your name. We’re going to create a series of layers all moving outward from you. You can move between layers as you think of new additions. There is no right or wrong way to do this exercise. Think big picture to start. Begin by thinking about the spaces in which you find yourself frequently. You might write: work, volunteering, place of worship, home, or fitness center. Now, let’s start to narrow in. See if you can divide those spaces into smaller groups. Perhaps work breaks into “my team” and a “professional organization” of which you’re a member. Maybe you volunteer at a “food bank” and in a “community orchestra”. The next layer is people. What people make up those groups? No need to list everyone, but think of 1-2 people you know well or admire. The final layer is skills. Do any of the people you just listed have any abilities you’d like to develop? Is someone especially accomplished in an area you’d like to cultivate within yourself? What do you notice about your network? What is surprising to you? What did you learn? As you reflect on this exercise, you might realize your network is heavily weighted towards friends and colleagues. Those strong ties are comforting, but as you look to build new relationships, remember that weak ties are a great source of strength. 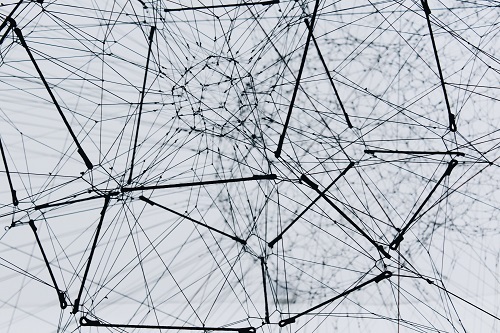 Weak ties give you access to something fresh because information spreads faster through the fewer overlapping connections. Weak ties are crucial in binding groups of strong ties together. They bring circles of influence into contact with each other, strengthening relationships and forming new bonds between existing relationship circles. There is no “right number” of ties or relationships, but it is important to build both strong and weak ties as we aim to strengthen our network. As you look for ways to create weak ties, consider the options available to you as a Wake Forest alumnus. You belong to a powerful alumni network. Join the Wake Forest Alumni Group on LinkedIn. Search for alumni within our online directory called WAKENetwork. Look for programs and events in your city provided by the WAKECommunities and Affinity Groups. There’s a whole world out there for you. Go build the strong network you need.